2. How should ACEN talk to you? In recent weeks there has been a range of press items highlighting different aspects of WIL. This week's report from EY is posing a challenging question, which is also the report title, 'Can the universities of today lead learning for tomorrow?'. The report makes a strong case for collaboration and co-creation with industry as well the enhanced role for WIL in future universities. At the same time the ABC has investigated and analysed over a 1,000 internship advertisements, many unpaid and not for credit, with all the associated issues around exploitation. This again highlights the strong demand by students for industry relevant experience and the lengths they are prepared to go to achieve it. The article suggests that we are possibly seeing the development of an entrenched internship culture with no explicit link to learning. 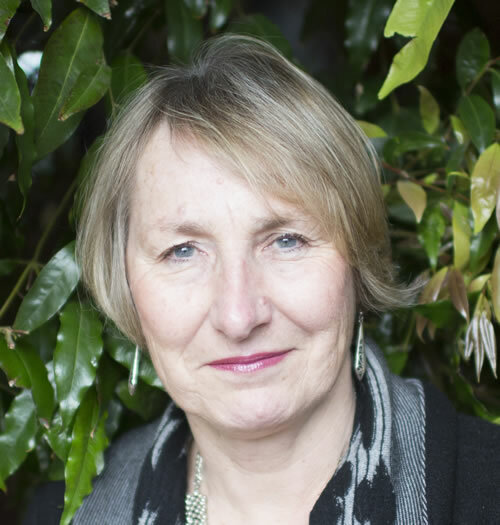 As a counterpoint to the ABC piece, Prof Jan Orrell (an ACEN Life Member) has also this week written in The Conversation outlining the benefits for all stakeholders of WIL and reminds us what quality WIL, embedded into a university program looks like. The National ACEN conference is a bit less than 6 months away so don't delay in making your plans to attend to ensure you don't miss out. The conference will showcase the richness and depth of WIL research and practice across the country with the keynotes and workshops already announced. ACEN is conducting market research to better connect with our WIL community. Please click the link below and fill out our short survey to help us promote the advancement of WIL in Australia. Contemporary Australian higher education providers have championed student partnership and meaningful engagement as key priorities in strategic planning, governance, and teaching and learning. This workshop, including input from an expert panel, explores the notion of students as partners in work-integrated learning (WIL) environments. We trouble the authentic nature of students as partners in this space, and the notion that student partnerships promotes engaged learning and agency. Bringing together staff and students, we take Kettl's (2017) idea of 'doing better by knowing better' to explore the possibilities and challenges that go beyond the usual lip-service paid to engagement and partnership in higher education curricula. Reference: Kettl, D. F. (2017). Little Bites of Big Data for Public Policy. CQ Press. Speakers: Denise Jackson, Abigail Lewis, Nigel Gribble, Susan Edgar and Jessica Colliver. The five participants from Western Australian universities will briefly present their findings from the OLT-funded 'Augmenting career development learning and professional identify development through post-practicum interventions' project led by Professor Stephen Billett. 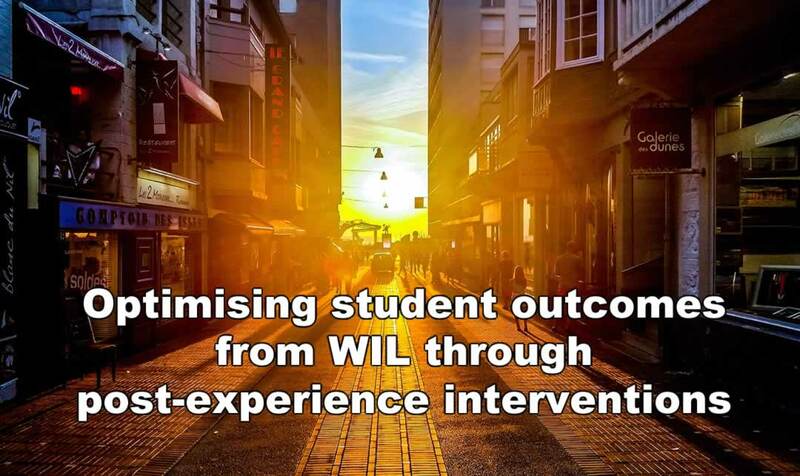 Their interventions focused on drawing on the WIL experience to develop career management capabilities, professional identity development, reflective practice, resilience, and self-efficacy among students. Are you looking for ways to enhance your students' wellbeing and success? Would you like to support them to achieve their best whilst on fieldwork? 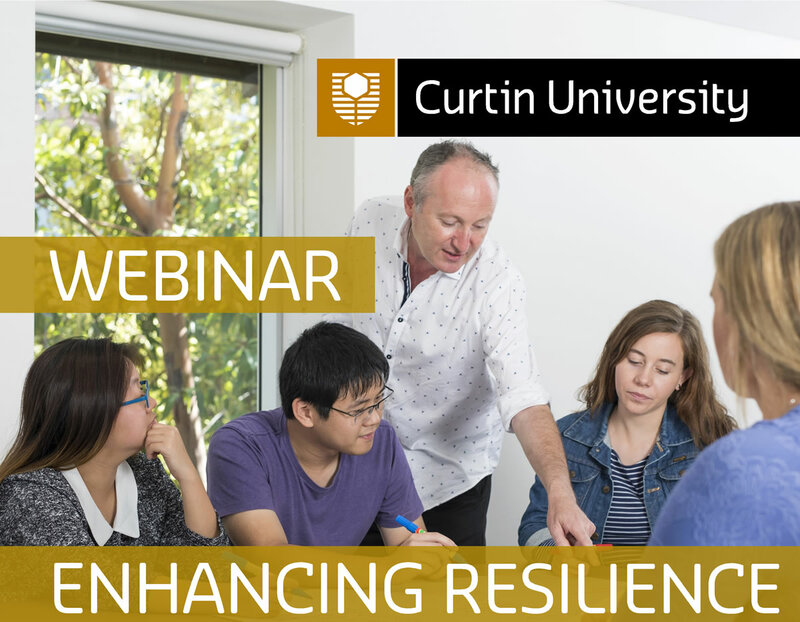 Research has shown that resilience can diminish psychological stress, help with managing pressures and improve academic results. The 2018 round is now closed with over 400 applications which are being assessed. Applicants selected to progress to stage two of the application process will be advised by 11th May 2018. There is no restriction on the numbers that can be submitted from an institution. The Collaboration Award is made to a partner organisation that is collaborating with a university to provide a sustained and significant contribution to work integrated learning. The Local Hero Award is made to a small-medium enterprise (SME; 0-199 employees) partner that is contributing to work integrated learning beyond the expectations of the size of their organisation. Life members will have made a significant contribution to advancing the practice, theory or status of work integrated learning and have a minimum 5 years' service in the field of Work Integrated Learning. ACEN has added a new award for outstanding Case Studies category to its suite of awards. This award recognises quality and innovative practice across all disciplines and models of WIL. To be considered you must first submit your WIL activity as a case study to ACEN. Case studies accepted and published as exemplar models of WIL by 1 August will automatically be considered for the 2018 ACEN Excellence in WIL case study award. 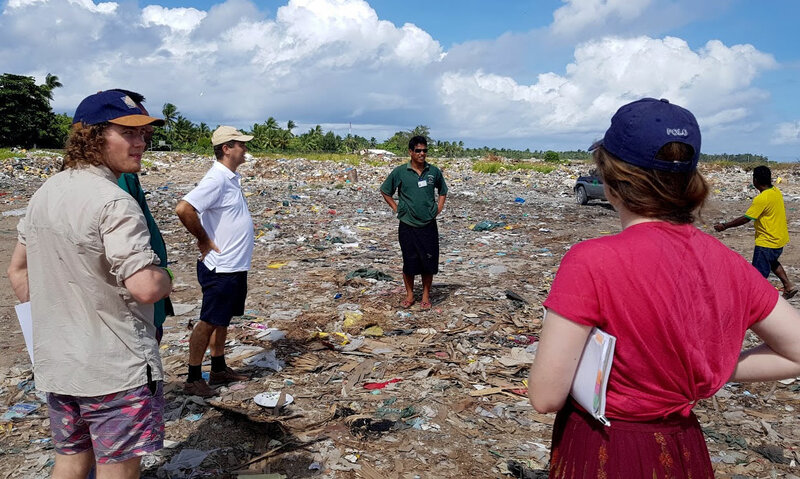 A recently added case studty for a Bachelor of Science Advanced-Global Challenges Honours year is a unique research program that immerses talented science students in an experiential and industry-linked education. Students work in groups on authentic multi-disciplinary challenges posed by our industry partners over the year-long project. This role will be responsible for ensuring that the various systems used to support student centred service delivery are and remain effective, efficient, and fit-for-purpose. Working in collaboration with stakeholders across UQ, this position will ensure that systems are responsive to need and produce efficient and accessible performance reporting to inform improvement recommendations, based on evidence and best practice. SASCE hereby invites you to the 3rd WIL Africa Conference to be held on 18-20 July 2018. WIL Curriculum issues including assessment, decolonization of education, etc. Keynote speaker: Prof Feridun Hamdullahpur, President: Waterloo University. To unsubscribe, send an email to admin@acen.edu.au with 'Unsubscribe' in the subject line.